Following completion of their Architecture degree from University, graduates are required to gain experience in the industry before taking a further Architectural Practice Examination to become a registered architect. Most graduates wait between 5-10 years to complete this process. There is a growing perception that it is not necessary to become a registered architect and many do not see the benefit of registration. Further to this, the examination is perceived as a lengthy and challenging process, which can often turn graduates off taking this step. 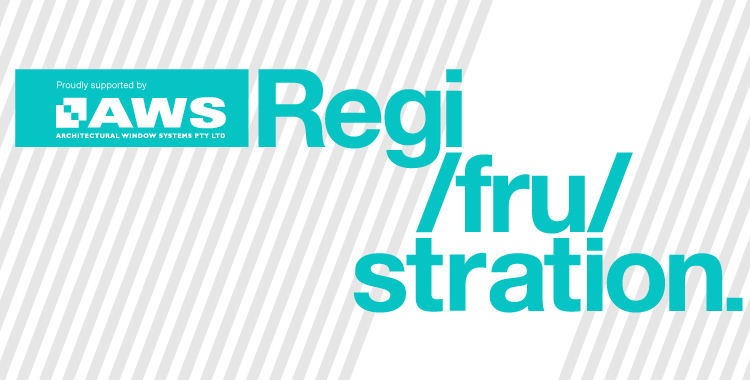 Regi(fru)stration is designed to encourage graduates to take the next step and become a registered architect through providing a relaxed forum in which many of the ‘myths’ surrounding the process are dispelled. An open forum of discussion, Regi(fru)stration invites two recently successful registrants and one experienced practitioner to share their experiences. The session outlines the three-stage Architectural Practice Examination, suggests sources of further information and provides the opportunity for attendees to ask questions of the panel. The Institute also runs a program, PALS – Practice of Architecture Learning Series, which provides formal and technical training for the examination. Regi(fru)stration is designed to take place prior to this program, as an informal forum in which attendees can get a realistic and personal perspective of the process, prior to commencing the journey. For more information about Regi(fru)stration in your state or territory (excluding Victoria), contact your local EmAGN Representative.